When I decided to become a freelance blogger, I was looking for the opportunity to take my passion for writing and turn it into a business. I knew that I would have to work hard to find opportunities, but it turned out that there are lots of opportunities for writers out there. Because of this, I learned quickly that being a freelance blogger meant deciding what I wanted to write, how much I wanted to make and who I was going to work with on projects. When you’re looking to hire bloggers and work with a freelance blogger, it’s important to know just how much influence we have on what we decide to write — at least for freelancers who give a damn. Writing is a talent, but it’s also a profession, which means that freelance blogging is a skill that businesses need (more than ever!). It helps people online find out more about their business, services or products. As a freelance blogger, it is up to me to decide who I want to work with and when. I have complete control over the clients I write for, and that’s especially important when it comes to producing unique content. When it comes to writing, it’s all about enjoying the words you’re putting on the page/screen. If you can’t do that, how can you be good at your job? Freelance blogging is an opportunity to be selective with projects so that you’re always able to put in 100% effort. Whether you’re blogging as a side hustle, or as your full-time job, having the opportunity to write for different clients and take on varied projects is a chance to stay “fresh” creatively. Having the opportunity to research and write about all different kinds of topics is creatively satisfying, and definitely beats going into the office and doing the same old same old, every single day. When you hire bloggers, you are gaining access to fresh ideas and perspectives. What’s the best part about being a freelance blogger? I can be anywhere and everywhere, thanks to my phone and laptop. Whether I’m in a cafe, at home or in a hotel, I am always able to do my work and stay online. That accessibility allows me to be productive whenever I am feeling inspired, instead of having to wait to get to my desk to start writing ideas down; I can put pen to paper (digitally speaking) right away. Freelance bloggers are able to do their work just about anywhere, and mobility is key to productivity. When it comes to working with clients, I am the main point of contact as a freelance blogger. This means that I’m getting expectations, deliverables and nuances (like style and tone of voice) directly from you, the client. Things aren’t being handed down through another channel or person, so I don’t have to play a game of telephone to figure out what my client wants. I have direct access to them, and they have direct access to me. I personally get excited whenever a freelance blogging opportunity comes around on a topic that I’m particularly passionate about. Freelance bloggers are researchers at heart, and we love finding new information to talk about with our clients. Whenever I’m able to provide my expertise to a client, they’re getting information that is unique and tailored exactly to their needs. My job isn’t to repeat what’s already said on other sites, it’s to create content that gets noticed for being unique on its own. Whenever you’re self-employed, the work you do tends to be a direct reflection on you personally – and freelance blogging is no different! Whenever I am blogging, whether my name is attached or not, my reputation as a writer is on the line. Not only with clients but with myself. This is especially important when new projects come along, and I can point to my work on the internet that will impress them. Not only is it an opportunity to develop new business, but it’s also important that I am always happy with the work I’m creating. One of the most important, and valuable, skills that a freelance blogger can have is an in-depth knowledge of search engine optimization (SEO) principles and best practices. It’s important that the work we do, as bloggers, isn’t just pretty to read – it also has to be searchable. In an age where digital marketing is becoming more and more important, this is especially valuable for clients. Having SEO knowledge is going to help your work become even better. The best freelance bloggers all have three things in common: they’re the ones who understand the value of their work, know what they’re talking about (or are willing to put the time in to do research and found out more) and are able to manage client expectations/correspondences in a way that is fair and fast. 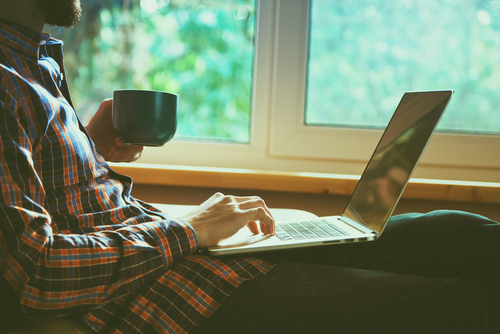 The best freelance bloggers don’t take their skills for granted. They will always have their client in mind. Clients are always looking for new ways to get their business noticed, and freelance bloggers are an invaluable resource to help put their services into words. It’s an opportunity to create timely, optimized and well-written content that really effects people and helps them make a decision about the services they’re looking for online. Whenever I am writing a blog, I always think to myself: “is this going to change someone’s mind about this product/service/business?” That way, the work I’m doing is always convincing. Have you been looking for a freelance blogger for your business? As I’ve outlined here, the best bloggers are the ones who care about their work, know what they’re talking about and understand the value of their role. Writing is an ability that can be easy to attempt, but hard to perfect. Make sure that you’re always working with the best for your online writing needs!